Tiki time! 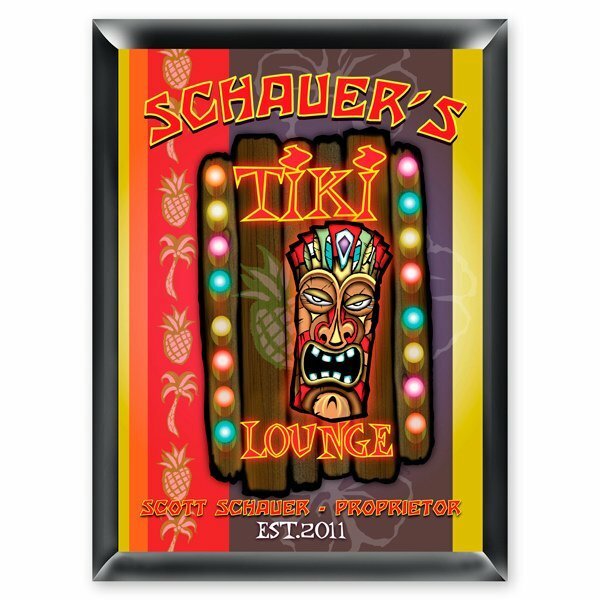 Palm trees, pineapples and bright island colors cover this personalized tiki lounge sign. The good times will be even more memorable when you display this sign that shows an example of a tropical paradise in your lounge. 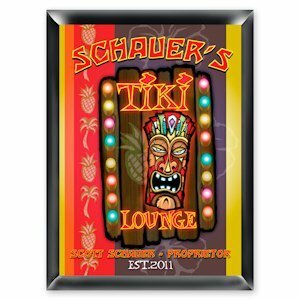 Full-color sign would look great in family room or beach setting. Specify the first and last name of the proprietor plus the year of establishment.